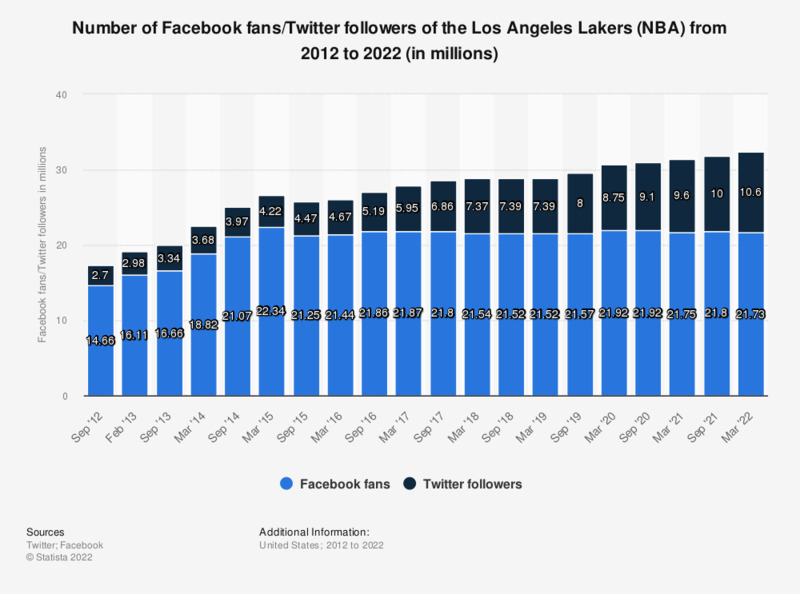 The statistic shows the number of Facebook fans/Twitter followers of the NBA franchise Los Angeles Lakers from September 2012 to March 2019. In March 2019, the Facebook page of the Los Angeles Lakers basketball team had more than 21.5 million fans. Everything On "Los Angeles Lakers" in One Document: Edited and Divided into Handy Chapters. Including Detailed References. Statistics on "Los Angeles Lakers"
Please rank the following reasons on a scale of 1-10 for you owning a modern sporting rifle (MSR).